There are few defects you should always keep an eye out for when inspecting celery; decay, scuffing/bruising and seedstems. As celery grows normally, the branches originate from the base of the plant. When seedstems develop the branches have a tendency to grow out of the center, from points above the base. 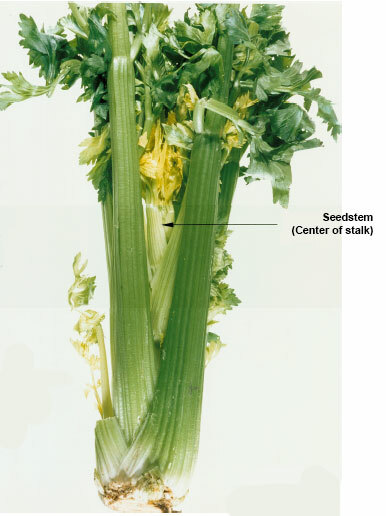 The growers refer to this growth as “bolting.” After harvest the seedstem will not become larger, or more evident, but the celery with seedstems may have a bitter taste. Measure across the widest point of the branches to measure the diameter. 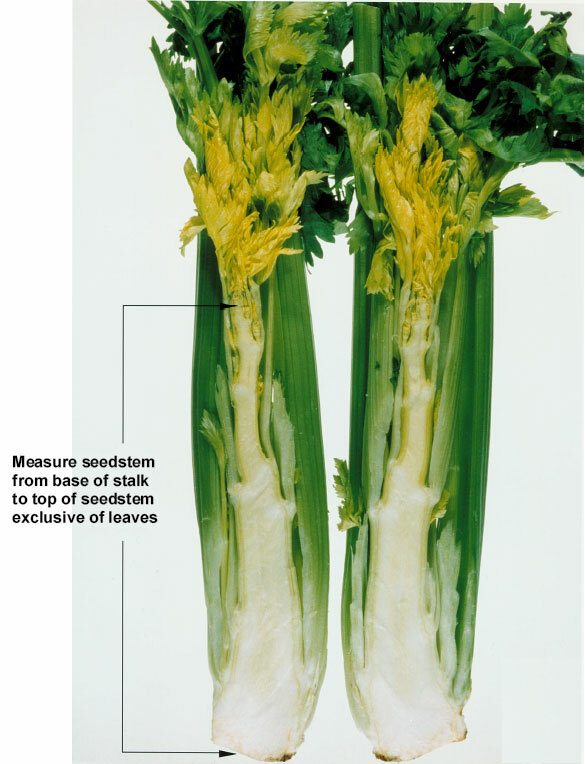 If the length of the seedstem is more than twice the diameter then the stalk of celery is scored as a defect, damage by seedstems. For example, if the the diameter of the stalk is 3 inches, the seedstem would be considered a defect if the length of the seedstem exceeded 6 inches (3 inch diameter times 2 equals 6 inches). But what if the diameter you measured was 4.50 inches and the seedstem length was 8.25 inches, would this be a defect? If you said “yes” you are correct. Even though the seedstem is not longer than twice the diameter of the stalk (4.50 inches diameter x 2 = 9 inches), it does exceed the first guideline, the seedstem cannot be longer than 8 inches. Remember, this defect is considered as being a quality defect, meaning it does not progress, or become worse. If you find seedstems it is to be scored against the lot tolerance of 10% defects. 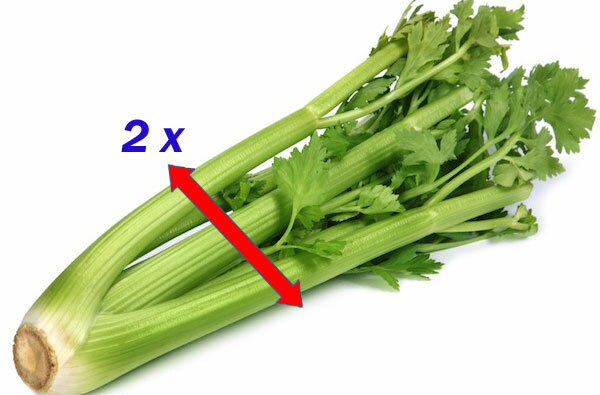 If the celery is packed for 2 dozen then 2 defective stalks would equal 8%, while 3 defective stalks in a carton would equal 12%, exceeding the lot tolerance for defects.